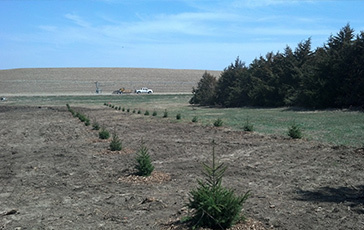 Windbreaks play a vital role in protecting an acreage or farmstead from cold winds and blowing snow and dust. They can also be utilized in the summer months to protect from hot, dry summer winds and abrasive wind-blown soil particles. 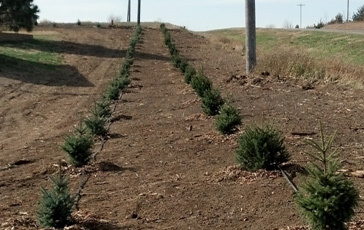 They create a microclimate in the sheltered zones that, with careful planning, can be used to create desirable environments for growing crops, raising livestock, and managing snow. 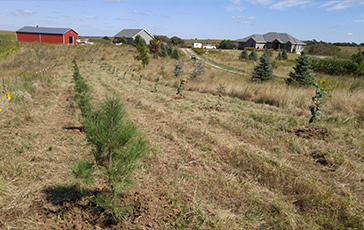 Windbreaks also provide critical wildlife habitat in a landscape dominated by agricultural crops. 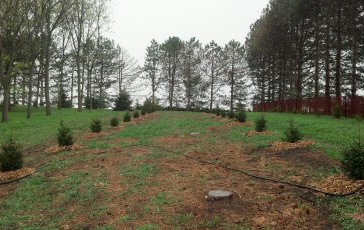 We offer design and planting services, along with additional options such as custom drip irrigation and wildlife protection.